This time around, our detective trio tackles another mystery and warns about some of the dangers of being famous on the internet. Episode eight was not perfect, but it was a solid attempt at creating emotional investment and it lacked major plot holes. Episode nine is not only a haphazard attempt at criticizing online broadcasters while being a "light" story, its conclusion sadly makes about as much sense as an octopus wearing a thong. People are discovering new ways of using the ever evolving internet to express themselves, socialize, promote their work and create opportunities for their future. As any tool, however, there are dangers to it if used unwisely. Adding to that the fact that technology advances faster than our ability to safely adjust to it and it makes for good horror stories. Or in this case, a not-murder mystery. The episode looks at these dangers as well as the role of parenting in them, but only in passing. We have now hit the midpoint in "Master - God of Noodles" and all of our players are in place, fully ready and motivated to close in on Gil-do and destroy him. Episode ten surprises me in some very pleasant ways, pleasant surprises being a rarity for me in drama. Myeong, Yeo-gyeong and Tae-ha face their problems head on, Congressman So's connection runs much deeper and important new information surfaces for us and the characters. Dramas are quite liberal with their repetition. We know a character with important information will probably meet a truck of doom before delivering it. A lot of Korean series would end in four episodes if characters simply communicated and used their wits more. It is plot stretching at its nastiest. I have to admit, I did not give this series enough credit. Seeing Myeong (Cheon Jeong-myeong) and Tae-ha (Lee Sang-yeob) speak so honestly and bond more, rather than drift apart is a delight. The convenient workings of fate thankfully take a break in episode eight of "Master - God of Noodles" and we are back to character focus after another three-year time jump. Our protagonists and antagonists have moved on to bigger, but not necessarily better things, there are grand revelations and birth secrets confirmed and avoided, too. The noodle dishes are back with a tasty vengeance and tensions run high as our hero gets dangerously close to his target. 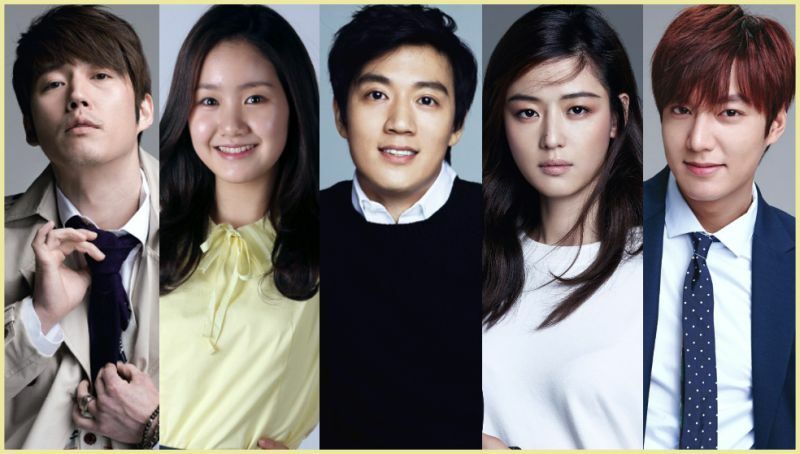 The connections between Tae-ha (Lee Sang-yeob), Moo-taek, Gil-do (Jo Jae-hyeon), Do-kkoo (Jo Hee-bong) and Yeo-gyeong (Jeong Yoo-mi) are revealed and it is about time. 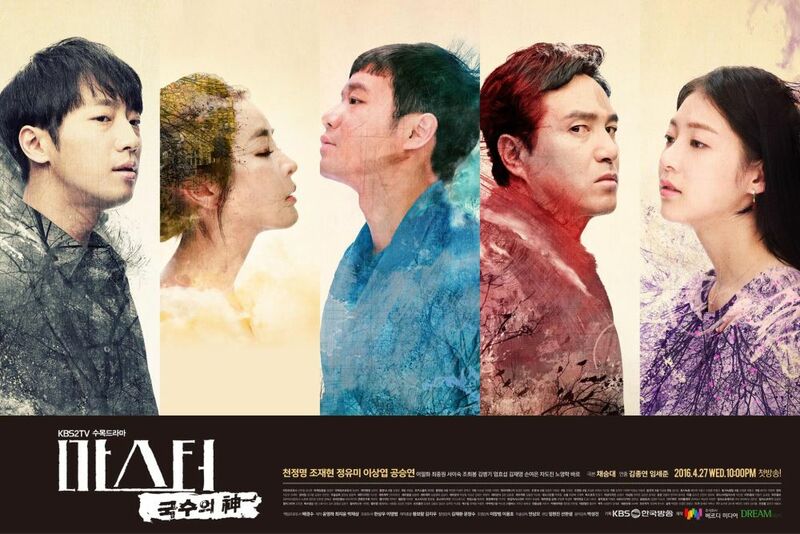 I expected Gil-do to be behind the events of the past and I expected the connection between Tae-ha and Yeo-gyeong, but I am very glad to see that Do-kkoo does not have a birth secret with Tae-ha. It would have been one cliche too many already and the series is engrossing despite their "help", not due to it. Get ready to stop breathing every few minutes and keep any comforting items or pets nearby, because episode six of "Master - God of Noodles" is one intense ride. Our characters drop their facades and others reveal the effort it takes to maintain them, reluctant alliances are formed and we have a birth secret on our hands if ever I have seen one. Between the tight storytelling and torturous food shots, this episode is a health hazard. Let me first address the elephant in the room here. Da-hae (Gong Seung-yeon) is so very much Gil-do's (Jo Jae-hyeon) daughter and I am sure it will be confirmed soon. She may be an illegitimate child or a tie he needed to cut before entering Goongnakwon. What I find hard to believe is that he allows her to live. Blood did not stop him from killing his father. Blood does not stop abuse, neglect and abandonment, but perhaps this is the one low he will not stoop to. After a case fully dedicated to Chairman Jeong Geun-mo's financial transactions it is the turn of one related to the cost of human life lost to his dirty business practices. As Jeong becomes more reckless and obsessed with destroying our Superman, his accomplices start to worry over their involvement with him. 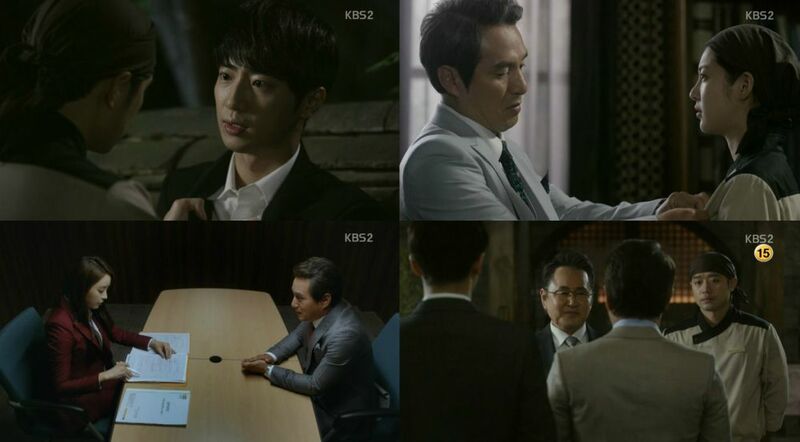 Hae-kyeong goes head to head with Deul-ho and Eun-jo in court and her motives are being questioned by those around her. The energy drink case is a return to issues concerning citizens. In a series which places a lot of importance in social commentary, keeping such cases coming is important. By making the source of this Chairman Jeong (Jeong Won-joong) once more, the creators stay close to our main story as well. It is smart to remind us that Deul-ho (Park Shin-yang) and Eun-jo (Kang So-ra) do take on other cases and make a living, because it feels as if everything is about the Chairman sometimes. Our plot and character development make great strides in episode thirteen of "Neighborhood Lawyer Jo Deul-ho". It is amazing how people show their true colors when push comes to shove and now we get to see who Deul-ho's and justice's true allies and enemies are. Are those revelations surprising? Not really, but some are so very satisfying, especially when Deul-ho's fate is at stake. We still need more information on the past, but the present is definitely delivering. First up in in this week's game of spot-the-ally is Ji-wook (Ryoo Soo-yeong). Ji-wook's predicament is sad, but seeing him step up for what is right is such a relief. 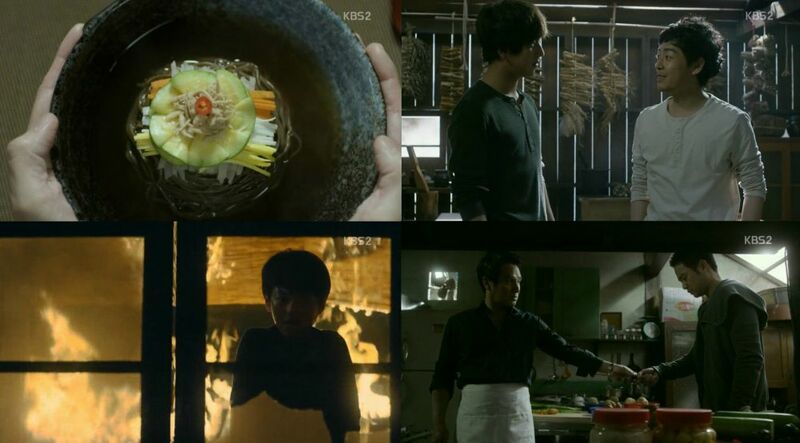 It is lovely to see Deul-ho's (Park Shin-yang's) unshakable faith in him as well. Ji-wook needs that faith. Hae-kyeong (Park Sol-mi) is trying to fix some past errors as well. She was cruel and selfish, perhaps unforgivably so, but choosing what is right over what is convenient this time is a good start at redemption. Her father, Sin-woo (Kang Shin-il) is unsurprisingly less flexible. If things were serious in the last episode, they are deadly dangerous in episode twelve of "Neighborhood Lawyer Jo Deul-ho". Our villain is finally showing his biggest tricks, although they are interestingly very similar to his past ones and hopefully full of errors. Deul-ho is in deep water and what remains to be seen is who will aid and who will hinder him. Eun-jo will have a lot on her hands and so will Ji-wook. 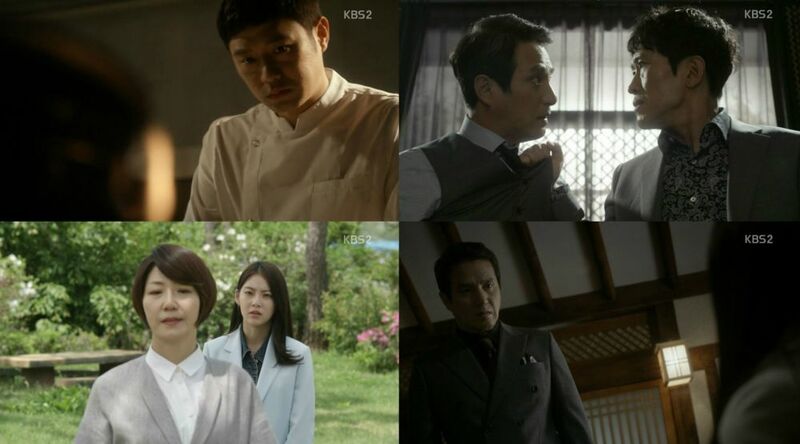 Hong Yoon-gi's (Park Choong-seon) case is unique in conclusion. 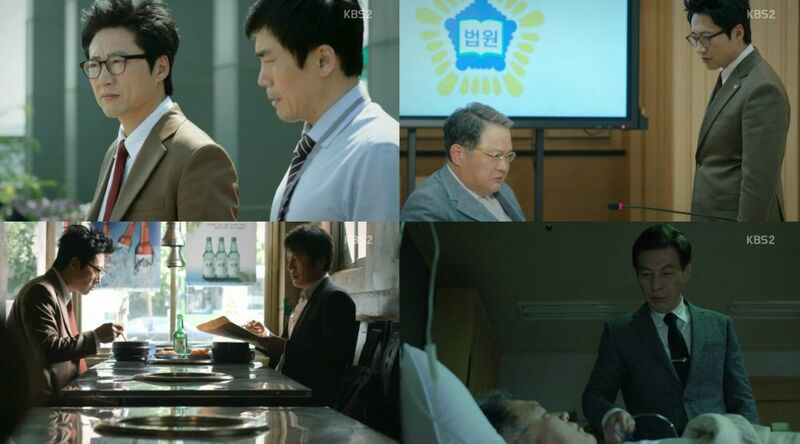 The drama does not spend time on the potential moral dilemma of Deul-ho (Park Shin-yang) in settling his client's grievances, but losing a chance to get Chairman Jeong (Jeong Won-joong). I do understand that Lee Myeong-joon provides an alternative route, but it is still good to see Deul-ho not even getting tempted to settle. While he should have expected what is currently happening, it is a relief to see that he does learn from past mistakes for the most part. Things get serious in "Neighborhood Lawyer Jo Deul-ho" as our main villain becomes more aggressive than ever. Eun-jo's step-father sparks a new case, new challenges and social commentary. Eun-jo herself reaches a boiling point, but now her time has hopefully come to get down to business. New adversaries surface and older ones falter as the chessboard rattles. Deul-ho's determination to risk everything is about to be challenged, but we know him pretty well by now. I always worry when dramas handle topics such as depression or suicide. Serious topics in general. They are often used for dramatic impact, but rarely in a sensitive and honest way. I really appreciate the way Hong Yoon-gi's (Park Choong-seon) situation is portrayed here. Depression does not go away when you have support and neither do tough times. Support helps, but it is not a cure or a one-time good deed. Support takes dedication and being able to use it well and hold on takes great strength of character and perseverance. Finding a romantic comedy drama that does not go majorly dark and depressing or then lose its coherence completely is hard. "Beautiful Gong Shim" promises a return to the good ol' days, where people trying to hook up with people happily was possible without major physical and emotional scarring. 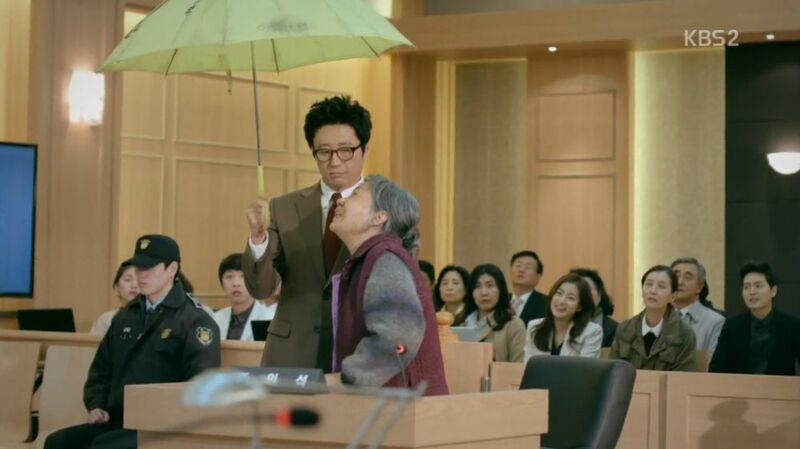 There is still a mean grandmother in the mix, but that is a rom-com staple in Korean drama. One sister is "a beauty", the other "ugly". One man is "successful", the other a charming "failure". A lot of quotation marks here, as the series is still about four pretty and well-off people navigating the geometry of romance through their love square. Full Article: [HanCinema's Drama Preview] "Beautiful Gong Shim"
Join me in a week of awards, casting additions and even some new drama announcements. This time around I contemplate the drama race for appeal in the Chinese market, which we all know is becoming a top priority of wannabe-popular series. 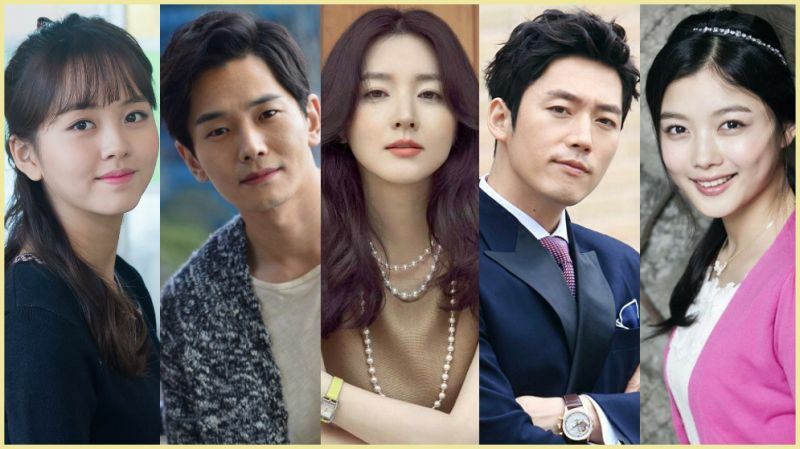 I also present to you some of our links for the upcoming 52nd Baeksang Arts Awards and take a look at some of the freshly cast or confirmed actors for upcoming dramas. Reading about "Flower Knights: The Beginning" being sold to China and about the Chinese evaluation for "Uncontrollably Fond" got me thinking about how common reporting on China's reactions to Korean dramas has become. China being a huge market for this industry affects it greatly. There are positive and negative sides to this. Pre-production is an element the Korean drama industry is desperately in need of, but then dramas eager to impress tend to get conservative and uninspiring. What is your take on this? If you enjoy murder mysteries, then welcome to some Cluedo-like fun in episode six of "Vampire Detective", as our team tries to solve a death of the past. The incident is personal to Goo-hyeong and this means we finally get to see him act like a human being instead of a womanizing cardboard cutout. Yo-na is still around, but neither San or we know what she wants. She is sadly falling victim to plot stretching, which will hopefully end soon. Atmosphere and writing play a big part in the enjoyment of murder mysteries. The creators choose to have things happen at night, in close quarters at an abandoned school and this sets a great mood for the truth being unraveled. Another fun element of such a concept is the idea that anyone could be guilty and the episode does well in gradually having its characters' facade crack as their personal secrets are revealed. As the incident took place in the past, this brings the tension back. A depressing fate befalls our makeshift family and the group is separated. Gil-do has big plans for his business and becomes more dangerous to our leads the closer he gets to the truth. Da-hae's spying endeavors reveal she has more than noodles in mind and Myeong is officially on the run. Episode four of "Master - God of Noodles" offers rich characterization and emotion. Grab a hot noodle soup and prepare for feelings. Before getting to story-related topics, I would like to speak about a production-related element I feel makes the show emotionally impactful. The cast and PDs do a great job in portraying the difference between emotion and more visceral reactions. Dramas often rely on crying and yelling for intensity, but the range of what humans feel and show is much greater. This fervent approach of the creators and cast gives every moment gravity. It would not be enough without good writing, but "Master - God of Noodles" has no major problems there. Gil-do has clearly never been worried about the idiom of burning bridges, because he is walking around waving fire at everything and everyone. His sadistic nature reaches new lows every time he acts or speaks. Episode three introduces new character connections and things get very dire for our hero, as his friends get caught up in his mess. The road to a complicated future stretches before us. Time for tangling some noodles. Gil-do (Jo Jae-hyeon) has been largely presented as a genius manipulator until now, but the thing about getting high on power is that it makes one sloppy. The man makes enemies out of the people close to him and it will eventually be his downfall. Go Kang-sook (Lee Il-hwa), Gil-do's wife seems to know that well and she is able to play him with it. On the other hand, Hwang Seong-rok (Kim Joo-wan) is his slave and their incredibly tense car scene makes that point clear. Have you been missing good ol' rom-coms, folks? You know, the kind where people do not cry for sixteen episodes and get some form of terminal illness. Well, let us see if those will be making a return and take a look at some recent drama trends while we are at it. More upcoming drama goodies are out, including some for new titles. Even less eventful weeks are full in Dramaland. Writer Lee Hee-myeong and PD Baek Soo-chan of "The Girl Who Sees Smells" are back with romantic comedy "The Beauty of the Beast". The premise does sound too simple and possibly boring, but do things always have to be complicated? The creators' previous show might be about a serial killer, but it also has adorable romance and strong female characters. So you know what? I trust them to bring some enjoyable fluff back. Here is some information on Namgoong Min's character and some videos. Gil-do is well on his way to winning a one-man moral limbo dance by going lower every day, our hero has revenge and food in mind and we have some new character introductions. Episode two pushes Myeong towards a very dangerous path and it will not be long before he has to start evading the truth to reach his target. The reunion hits him hard and the memories harder. Manly tears and noodle slurping ensue. 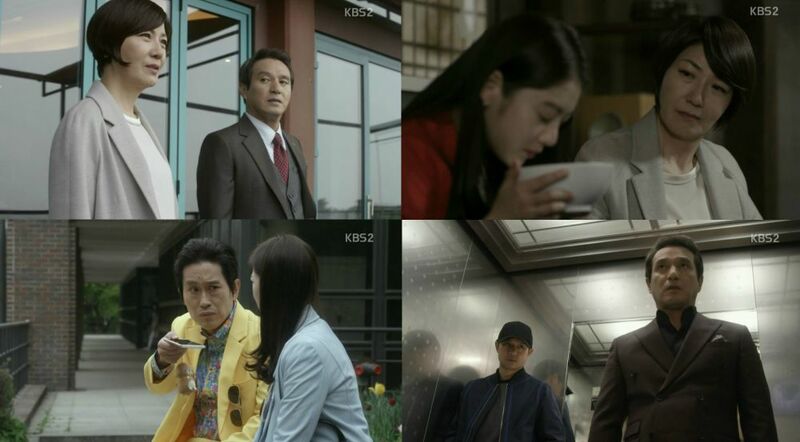 Myeong's (Cheon Jeong-myeong) reaction to meeting Gil-do (Jo Jae-hyeon) again is very instinctive and very powerful. While a trauma does not simply disappear, Myeong seemed to be doing relatively okay. This episode lets us know that he is most definitely not okay and it shows in his relationships with his peers as well. He is emotionally withdrawn and ends up hurting the ones who care about him while focused on his own pain. The other important fact we learn is that he has a natural talent for food. If you think your life is tough, welcome to the world of revenge dramas. "Master - God of Noodles" offers hot noodle dishes and heaps of the famous dish best served cold. The creators waste no time and give us the full backstory between our hero and villain, all the way to the awkward reunion in the present. This is one impressive, stylish and exciting premiere episode. You could cut the tension with a knife. Enter the noodle jokes. What hit me first about "Master - God of Noodles" is the incredible presentation of the series. This is one very appealing work. From its oppressive atmosphere to its stunning visuals, vibrant representation of different eras, living arrangements, costume design, everything is just beautifully crafted. A lot of creators underestimate the importance of the art. You do not just point a camera and film, as soap operas tend to do. There is so much more to it and this drama's production shows us how it is done. Everyone give the flashback fairy a round of applause, because she is here and she brings a lot of backstory with her. Episode ten gives us a little look into Deul-ho's and Hae-kyeong's less than blissful life together, as well as his musical interrogation room meetings with Dae-soo. I find myself with more questions than answers, but the past is returning and maybe bringing those answers with it. Chairman Jeong's time has come yet again. "Neighborhood Lawyer Jo Deul-ho" knows how much to give and how much to keep, I have to hand it to its creators. I have been hoping to see a redeeming revelation for Hae-kyeong (Park Sol-mi), but they are cleverly avoiding the details of her involvement in framing Deul-ho (Park Shin-yang) and keeping Soo-bin (Heo Jeong-eun) away. On the other hand, we find out their marriage was not so great. Deul-ho was away and Hae-kyeong was ashamed of his humble origins. 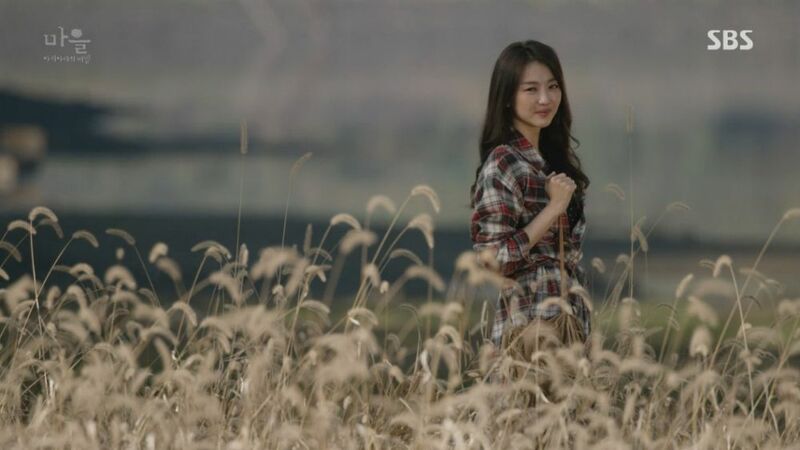 This is where Eun-jo (Kang So-ra) comes in. "Neighborhood Lawyer Jo Deul-ho" can go heavy on the sugar-coating and feel-good approach at times, but I cannot blame a show for trying to give some hope and joy. The time has come for our food criminal to get her just des(s)erts in this case and Deul-ho is definitely eager to provide. Eun-jo is hanging onto her dream and desired mentor, but life is not so peachy when you are broke. Hire her already! With one episode left until we are half way into the show, I do feel slightly disappointed over Eun-jo (Kang So-ra) having taken the back seat too long. Seeing some progress in her work with the Neighborhood Weirdos and also her current life situation is a nice change. I have been wondering how she supports herself through this and now we know she does not. It speaks volumes about her determination to become a good lawyer that she sacrifices so much for it. 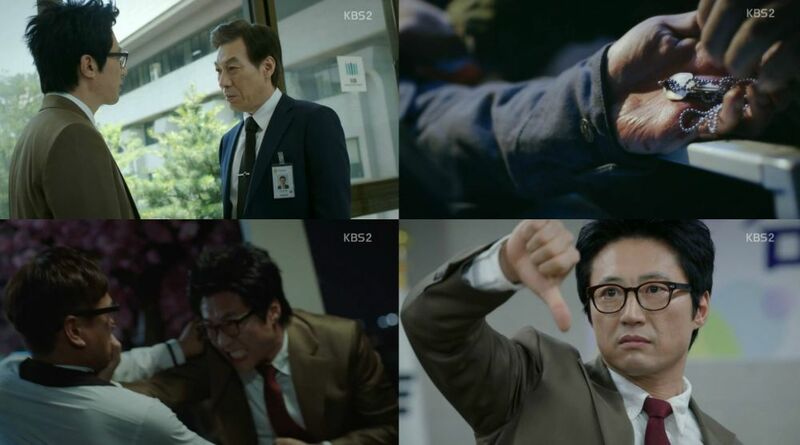 Deul-ho's (Park Shin-yang) own determination is tested by the reality of ungrateful clients. While the vampire side of things remains benched, we have some welcome forward movement in character development in episode five, sparked by what is probably the most interesting guest character yet. The case itself is very entertaining and nicely presented, giving us plenty of suspects and inviting us to a guessing game. Worry not, Yo-na is still around and she is very eager to have a piece of San, figuratively and very literally so. Yoon Seol-ah (Goo Jae-yee) is really the core of this episode and one half of what sets it apart from the rest. 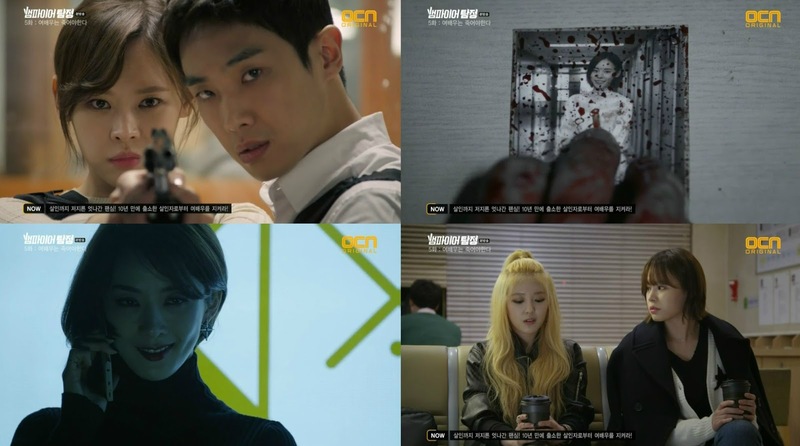 "Vampire Detective" has been using its guest characters to reveal more about our leads and especially San (Lee Joon), but it goes deeper this time. Seol-ah's life as an actress might be worlds apart from the life of a detective, a girl with a secret and a vampire, but she shares the common pain of responsibilities she did not ask for and the consequences of she has to live with. We have had quite an eventful week in Dramaland. KBS, SM C&C and SBS are getting into a fight while actors and the fate of a drama are caught in the middle, rumors become news only to be refuted and we have a casting which is already dividing viewers. As usual, upcoming drama goodies and my personal drama updates are included, so join me in a recap of the craziness. Dramas changing channels is nothing new, but things are getting serious this time around. 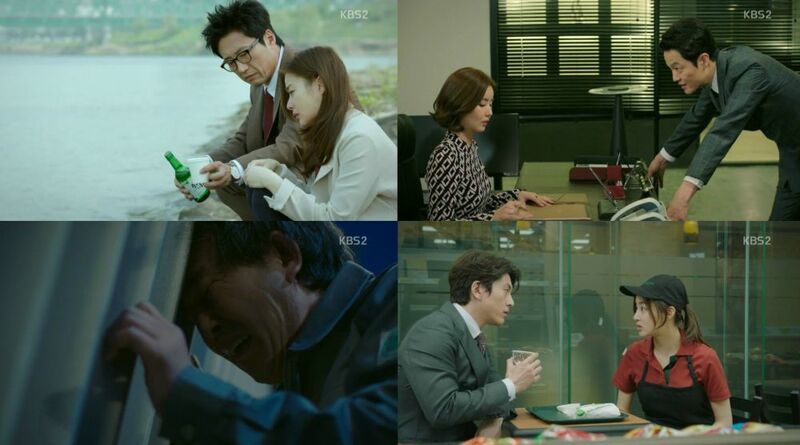 "Incarnation of Jealousy" switched over from KBS to SBS and all was well. Except KBS is now acting like an obsessive ex who cannot let go and is even dragging Kong Hyo-jin down with it. I have no idea who is justified here and who not, but it is a good reminder that dramas are still an industry. Foreign fans often dismiss internal and domestic happenings, but these influence our entertainment. 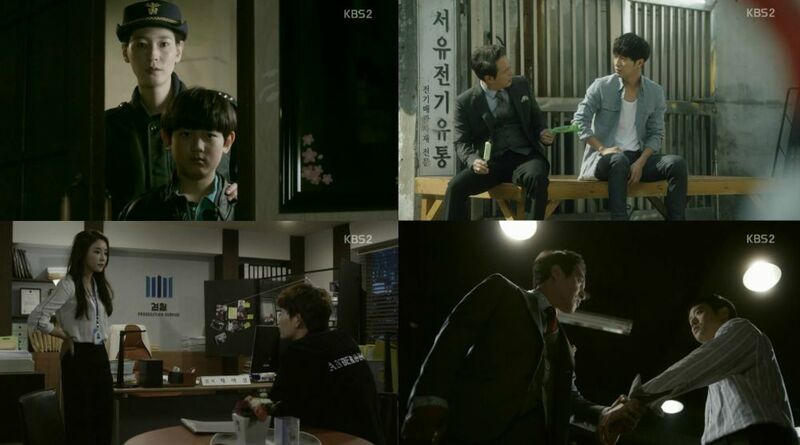 Another case is almost done and "Neighborhood Lawyer Jo Deul-ho" keeps doing what it does well. A lot of Deul-ho's successes rely on good people doing the right thing and bad people not taking things further, but there are lessons to be found in this idealistic view. Aside from morals and case solving, I believe one of our antagonists may be worse than I thought. Let me know if I am being oversuspicious. Before getting to that, I am very happy to see that the drama over Deul-ho's (Park Shin-yang) and Soo-bin's (Heo Jeong-eun) cancelled meeting does not overstay its welcome. Soo-bin is a smart kid and she understands that her dad has an important job and that things with her mother and grandfather are awkward. Deul-ho is actually the one suffering, because he understands the importance of his ability to be there for her after having been absent from her life for so long. On a happier note, I love how she is his inspiration for cracking this case. Deul-ho finally discovers his true calling beyond the case of Michael Jeong and Eun-jo incorporates herself in our team, which is always welcoming her presence. Episode 7 marks the opening of a case not related to our main villain, at least not so far. Most importantly, Deul-ho's triumphant return faces some problems, as he struggles between his role as a father and a newfound hero for the people. In a surprising and emotional turn of events, Deul-ho (Park Shin-yang) reunites with Soo-bin (Heo Jeong-eun), who is smart and brave like her dad. Their scenes destroyed me. "Neighborhood Lawyer Jo Deul-ho" really knows how to present its characters in a sweet and pure manner. We also get more development for Hae-kyeong (Park Sol-mi), with the revelation that she really thinks Deul-ho did something wrong. I am still hesitant to forgive her, because she is projecting her own regret and lingering attachment to her daughter. This is unfair to Soo-bin, but at least it humanizes a former antagonist. You know, for being investigators and therefore quick-witted and curious by trade, our team are very slow to address San's condition. I understand initial denial, but his vampirism is starting to feel like a gimmick, when we are one third into this show without it having played a significant role. The episode's plot and some other parts of the main story thankfully progress much faster, however, as our villainess has come out to play. 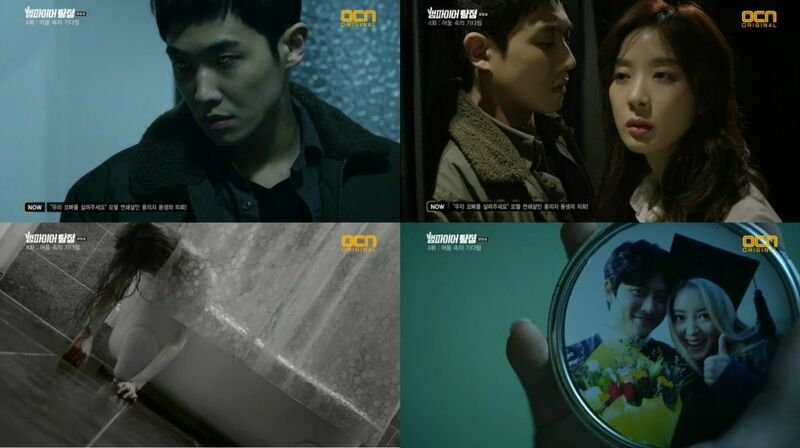 When I saw that San's (Lee Joon) vampirism happened not in some painful flashback, but right in our present, I was very happy. I thought "Vampire Detective" would finally portray the confusion and battle with one's self as they change. It is disappointing to see that this is not the case. While we did get a little forward movement here by being shown San, Goo-hyeong (Oh Jeong-se) and doctor Hwang (Kim Gi-moo) are all perplexed and worried about San's change, the creators do not show them speaking about it much, or about anything personal at all. I do not always pick complex subjects, but when I do, I pile them on. This week I briefly talk about disability and age gaps in upcoming dramas, although the topics deserve much more discussion than I can spare them here. You also get more promotional goodies, as we look into some dramas from the new season. I have my picks. They are many. Send help. Noodles I cannot eat do not sound exciting, until you drop fine teasers and stills along with the element of cooking for revenge. A show about paying taxes does not sound like the most exciting thing either, that is until you add Seo In-guk, Ma Dong-seok and Choi Soo-young in it and tell me it is from the "Bad Guys" crew. I am attracted to oddity, so I will be doing episode reviews for "Master - God of Noodles" and "38 Revenue Collection Unit". 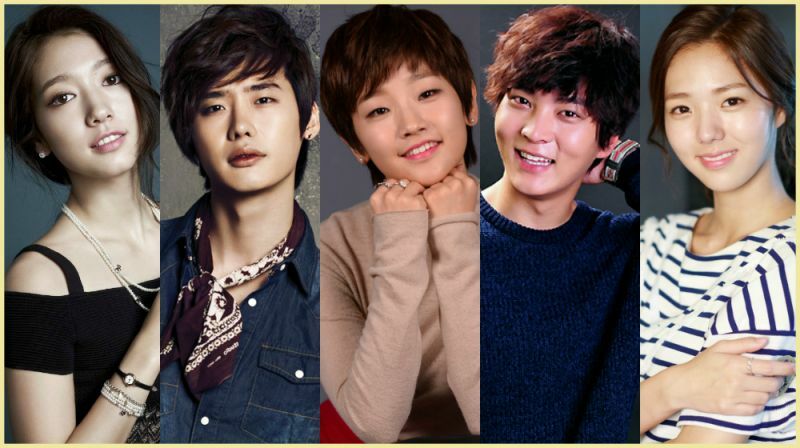 The Korean drama industry is constantly looking for hits, like any business does. As pre-produced shows have not done well in the past, creating something like "Descendants of the Sun" was a risk. In this case, the risk paid off in a major way. The series is a big global hit. As a reviewer, however, my job is not to gush over success. The drama has its virtues, but it is definitely not on the meatier side of entertainment. So here is my own take on it. 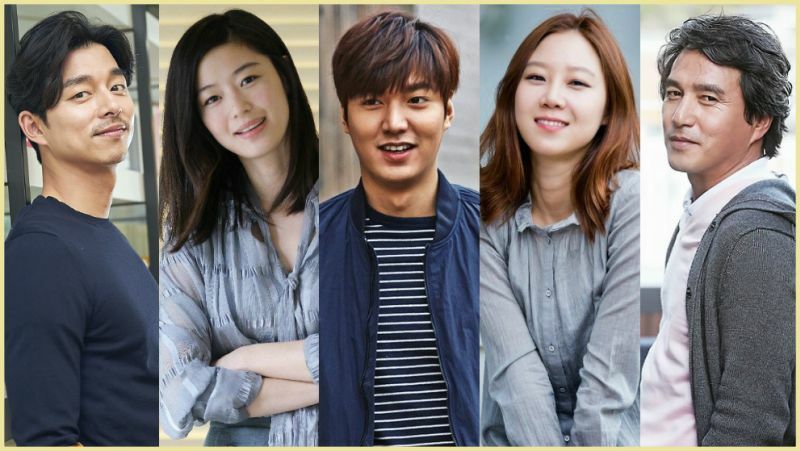 "Descendants of the Sun" portrays the struggle of its leading soldiers and doctors to do their respective jobs and stay true to their calling while falling in love. Yoo Si-jin (Song Joong-ki), Kang Mo-yeon (Song Hye-kyo), Seo Dae-yeong (Jin Goo) and Yoon Myeong-joo (Kim Ji-won-I) are assigned to a country in war where their relationships and dedication to their duties are tested. 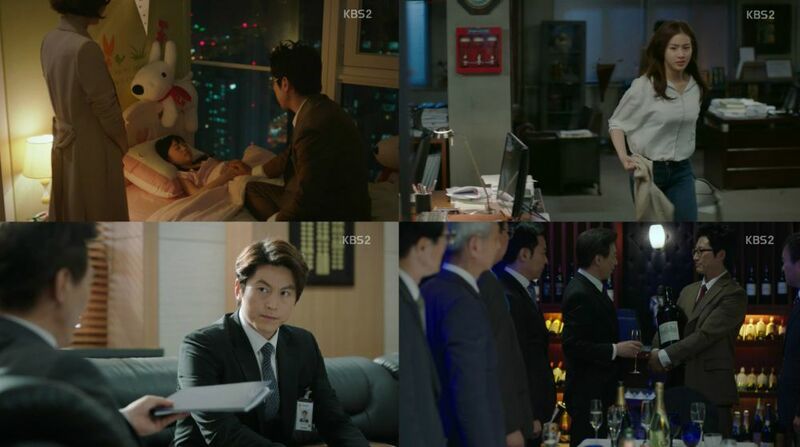 Full Article: [HanCinema's Drama Review] "Descendants of the Sun"
"Neighborhood Lawyer Jo Deul-ho" is relentlessly pursuing the right to be quirky and sometimes downright weird, as our hero creates larger-than-life schemes to protect his client. Eun-jo's new position as his rival in a case close to her heart gives us her backstory and leads her on the path we know she will take. Last, but not least, Park Shin-yang's granny pampering quota keeps being filled and yes, it is still adorable. Our second case seems much closer to home for both of our leads and this makes it an even more emotional journey for them. Getting to know our main characters through the development of the subplots is an efficient way of keeping the plot moving without some necessary for sympathy elements being sacrificed. Deul-ho (Park Shin-yang) is clearly emotional, chasing after a simpler past through his cases. He is also very impulsive, which is an issue I will speak about in a bit.